What will it be, a massive core upgrade or a brand new design? The world is eagerly waiting for the official release of iOS 12 and we are expecting way more than usual. The new upgrade is said to fix all of the problems you were facing with iOS 11. There are various advantages of the new iOS 12 like improved performance, new Siri shortcuts, and new photo management, etc. 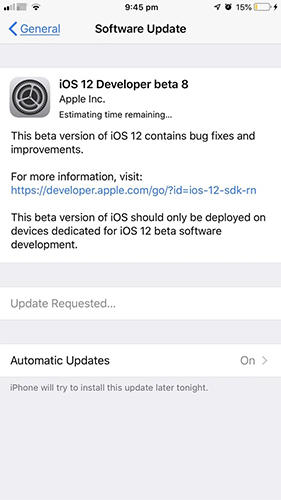 If you are looking forward to getting these, there are various ways to update iOS 12/12.1. In this article, we will show you here 3 ways to make an iOS 12/12.1 update. Without a doubt, Apple is planning something big with the release of iOS 12. The update is focusing on performance improvement and stability. It’s said that your device will run 2x faster after update iOS 12. So if you are tired about the iOS 11, then you should take no hesitation to install iOS 12. 1. Make sure your iPhone/iPad/iPod has enough battery and connected to Wi-Fi. 2. Go to Settings > General > Software Update. 3. Check for the latest update of iOS 12. 4. Tap on Download and Install button and enter your passcode if prompted. 5. Tap Agree to the Terms and Conditions. The download progress will automatically begin and just give it a few minutes till it completes installation. This way you will be always vigilant and it will always check for any new iOS update. If it finds one, you will be sent a notification and you just need to click on download and install to get that upgrade. This is how you update iOS 12 over the air. Tip: It’s recommended to backup your device first before update to iOS 12. 1. Connect your iPhone/iPad/iPod with USB cable. 2. If you can see the iOS 12 update is available update, click Download and Update to proceed. If not, follow below steps. 3. Click the device icon to open Summary pane. 4. Click Check for Update and click Download and Update. 5. Wait for iTunes to download the software and install on your device. There you have learned how to upgrade iOS 12 using iTunes. Don’t disconnect your device during update, otherwise some unexpected errors may occur. Although iTunes is the official from Apple, there are far more superior options available and they work far better than iTunes. There are a few flaws with the app like the app is very slow, especially when it comes to Windows PC and the performance of the app is not very reliable as it can crash anytime and not to forget data loss! Unfortunately, the main thing is that the app hasn’t been able to keep up with the demand of the users. So, in some ways, it has failed many. Here I would like to introduce you another tool called Tenorshare ReiBoot to update iOS. It’s steadier compared with iTunes and faster than OTA update. 1. Download and install Tenorshare ReiBoot and launch the program on the computer. 2. Now, connect your iPhone with an USB cable. The app supports all of the previous models of iPhones. 3. Now, an interface will be opened. Select “Fix All iOS Stuck” option. Then click on the “Repair Now” for further progress. 4. After that, click Download button to get iOS 12 IPSW files online. 5. When the download is complete you can click on the “Start Repair” option to complete the process. 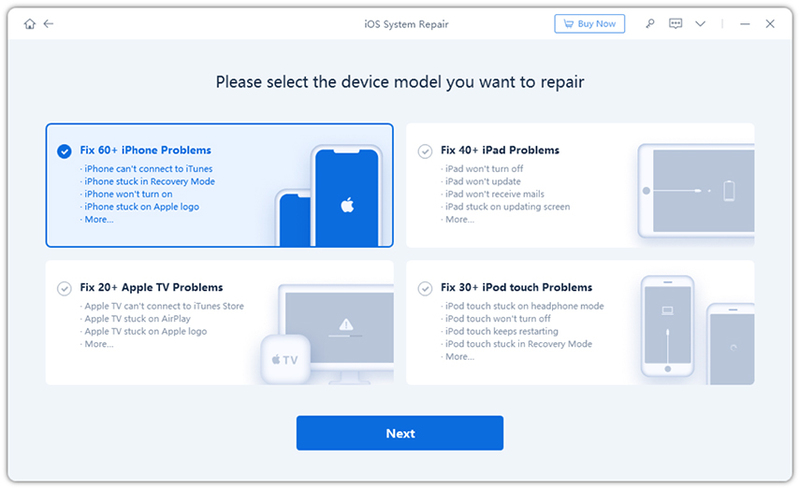 Now that the firmware is installed successfully, the device will reboot and finally, you will get the official iOS 12 for your iPhone or iPad. These are the few basic problems. If you are having these issues, then the best option to get rid of these problems is to Tenorshare ReiBoot. This is one of the fastest, sophisticated and superior software that you can find. And its Deep Repair mode can solve all of your problems with ease. Just follow the steps in Way 3 to get it solved right away. So, these are the 3 best ways to get the upcoming iOS 12 download free for your iPhone or iPad. These are completely tested methods that will surely work on your iPhone or iPad. But all these methods come with few disadvantages except Tenorshare ReiBoot. And that’s why it is our winner here in this article hands down. Go for Tenorshare ReiBoot and you won’t be disappointed for sure.